Szyszlo, Peter. (2016). 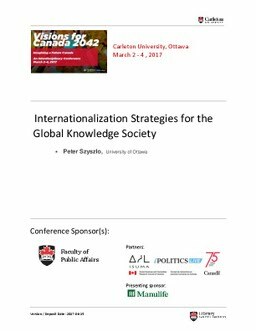 Internationalization Strategies for the Global Knowledge Society. In CBIE PhD Research.